Singapore Blinds & Curtains: What Are The Advantages & Disadvantages of Wooden Blinds? What Are The Advantages & Disadvantages of Wooden Blinds? Wooden blinds are available in various shades and styles. They are able to bring a unique ambiance and a certain charm to any room. But you need to know their advantage and disadvantage in case you plan to buy window treatments. This will help you to avail of the best options that suit your taste and needs. 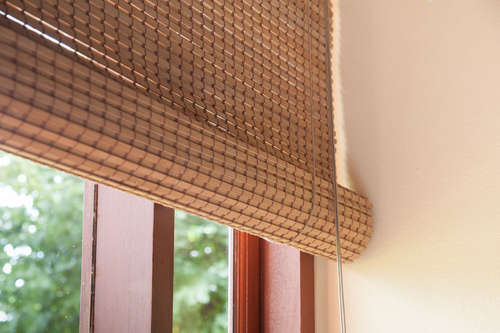 Wooden blinds provide the feeling of bringing in nature into the home while being able to protect from the elements. The natural look of wooden blinds will easily add character to any room setting. They can fit easily into both contemporary as well as traditional room styles. They are effectively able to manage the natural light diffused into your home. On the other hand, they are able to maintain proper privacy too. The advantages of using wooden blinds are detailed below. 9. The wooden blinds look attractive. Hence they are able to match with any room decor. 10. These blinds are able to protect against the heat in summers and against the cold in winters. 11. Just a little bit of dusting is good enough to clean these blinds. There is no need to scrub these with soap and water. 12. In case you do not want the natural wood finish, you can get the wooden blinds painted in any color that you want. There are some disadvantages too of wooden blinds. These are detailed below. 1. The wooden blinds have always been more expensive than any other blinds. 2. These are heavy blinds. This means that installing or operating them will not be that easy. 4. You must treat these blinds with various protective products like the wood oil occasionally in order to maintain them well. 5. These blinds cannot be used in all places. This is because wood naturally releases as well as absorbs water. Thus these blinds cannot be used in places that have poor ventilation, or places having high humidity such as the bathrooms or kitchen. The wood has a tendency towards warping. 6. These wooden blinds provide limited storm protection. While the exterior wooden blinds are usually fixed, even the functional types are available today. They are able to provide some amount of protection against storms, but far lesser than what is provided by other materials.